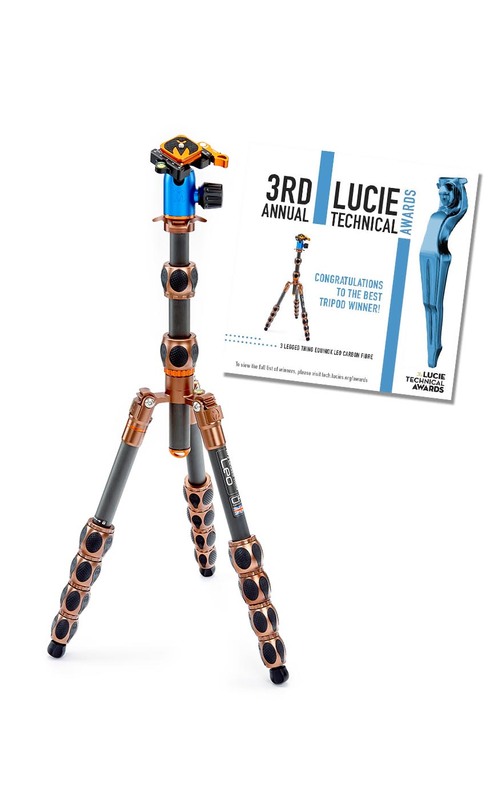 Leo won the best tripod of 2017 at the prestigious Lucie Technical Awards, held in New York. 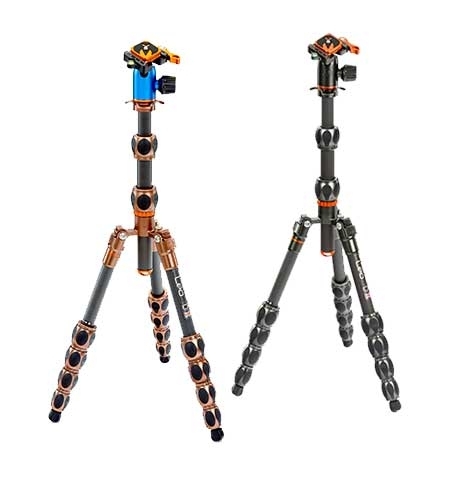 Leo is the world's most functional and capable micro-travel tripod system. Leo is our first ever professional micro-traveler. Packing an unprecedented level of functionality and capability, Leo transcends the divide between compact travel and professional tripod systems. Gritty, determined, and anti-establishment, Leo challenges the very fabric of conventional tripod technology. Leo is one of the most powerful tripods in the world today. With a load to weight ratio of 21:1, he's a trusted workhorse for serious photographers. Leo was initially designed as a more compact solution for photographers using mirrorless cameras, but is so strong and feature packed, that he provides a perfect solution for travelling professionals. Leo's unique construction allows for a multitude of set ups and configurations, to suit the needs of even the most niche applications. Leo is the most compact tripod in our professional range, folding up to just 34cm / 13.67", making Leo the ultimate travel tripod. Leo, like all 3 Legged Thing tripods, comes with a detachable monopod leg that can also be used as a microphone or camera boom. Leo is capable of supporting loads up to 21 times his weight. With a 30kg payload, Leo is one of the strongest tripods in the world. Leo has detachable rubber Bootz, which can be replaced with any of our foot accessories, for maximum stability on any terrain. Max Height 1.4 m / 55 "
Max Height w/o column 1.08 m / 42 "
Min Height 120 mm / 4.75 "
Monopod Max Height 1.46 m / 57.5 "
Folded Length 350 mm / 13.67 "
Max Leg Tube Diameter 23 mm / 0.91 "
Max Height 1.31 m / 51.5 "
Max Height w/o column 0.97 m / 38.5 "
Monopod Max Height 1.37 m / 54 "